The page is dedicated to offering an innovative and easy to use tool to help our users check if they have won a prize at the Lotto Hotpicks. 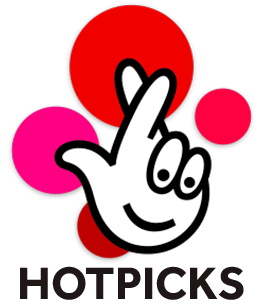 We have carefully crafted the Lotto Hotpicks checker to help you all to compare the numbers you have against the ones drawn at the Lotto Hotpicks. As a user, you can check three lines from the recent 150 draws where each shows you your potential win. For all of you who would like more about how to use the tool, you can check the guide with illustrations. This checker is on our website and is free of charge to use. There are no limitations attached to it, and you will have only to enter the desired data in the respective fields. It will only take seconds before it displays the results and declares if you are one of the lucky winners. Entering your number once saves it in the machine and can be used in future to help you compare if you have won. This tool has made it the easiest way for checking the results online. The smart tool which we name as Lotto Hodpicks Checker needs a few seconds to do the task for you. The following steps illustrate them in details. This step needs to pick the number of lines that you would like to check. Select the betted numbers on each of these lines. You might enter more or fewer numbers than needed but shouldn’t be too worried about that. The system is smart enough, and the upper section of every line will display the missing numbers. If all is fine, it will show COMPLETED. This means that all is good and you can move ahead to the third step. Now select the different Lotto Hotpicks Checker results you would prefer to check. It also offers the option to select all the draws or only the ones with a win. Lastly, you will have to click on CHECK RESULTS to get the results of your search. Once the above steps have been completed successfully, the system processes the inserted numbers against the actual drawn numbers. The process will take only a few seconds before displaying the results in a tabular format. We have created the format to be simple and easy to read. Hence you can easily understand if your numbers have won you the prize. It also displays the amount that you might have won. Or you can check your results by yourself on Lotto Hotpicks result page.